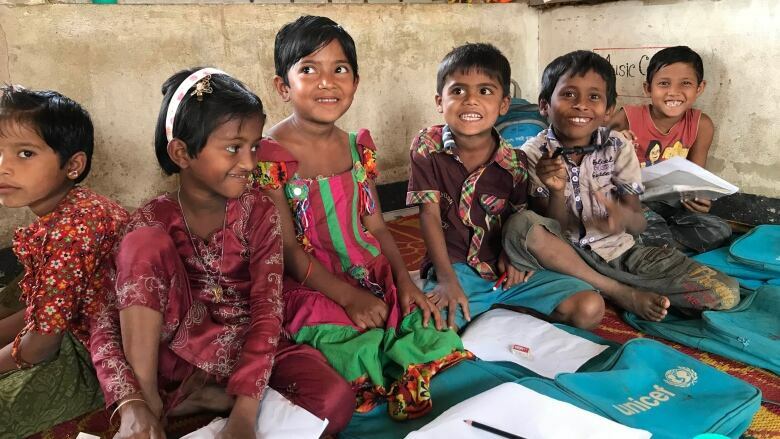 Canada's $50 million will be a huge push forward for kids who lost access to education through conflict, says the executive director of Education Cannot Wait, the fund which will allocate the money. "About 350,000 to 400,000 children will benefit from the generous Canadian contribution," explained Executive Director Yasmine Sherif. According to Sherif, it costs about $112 to put one of those children through school for an entire year. The global fund provided seed money to develop and implement education programs for children affected by sudden-onset or escalating crises, she explained. The fund also supports programs that target gender equity in education. "When you invest in the education of a girl in a very abnormal situation of a crisis, it's not a cost, it's an investment in that person's life." Prime Minister Justin Trudeau tweeted the pledge to comedian Trevor Noah on Sunday as he hosted the Global Citizen Festival, a charity concert in South Africa. Back in Canada, Trudeau was criticised for the method in which he made the announcement. The government responded that the $50 million is part of $400 million in aid, previously announced during the G7 Summit in Charlevoix near Quebec City, in June. Sherif talked with The Current's Anna Maria Tremonti about the work done by Education Cannot Wait. With files from CBC News. Produced by Samira Mohyeddin.